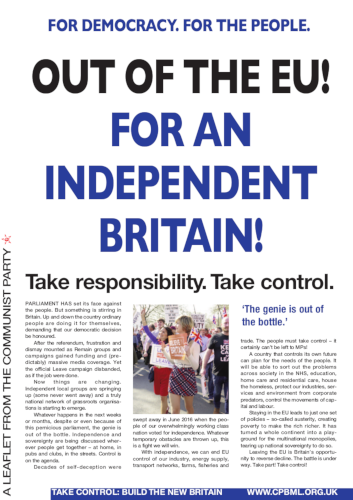 Welcome to the home of the Communist Party of Britain Marxist-Leninist and its magazine, Workers. Over a thousand key London Underground maintenance and engineering staff have voted by strike over cuts to train perparation and maintenance schedules. Honda announced last month that it will close its only British factory as part of restructuring plans. Unite the union is organising a march and rally on Saturday 30 March in response, seeking to save the plant.